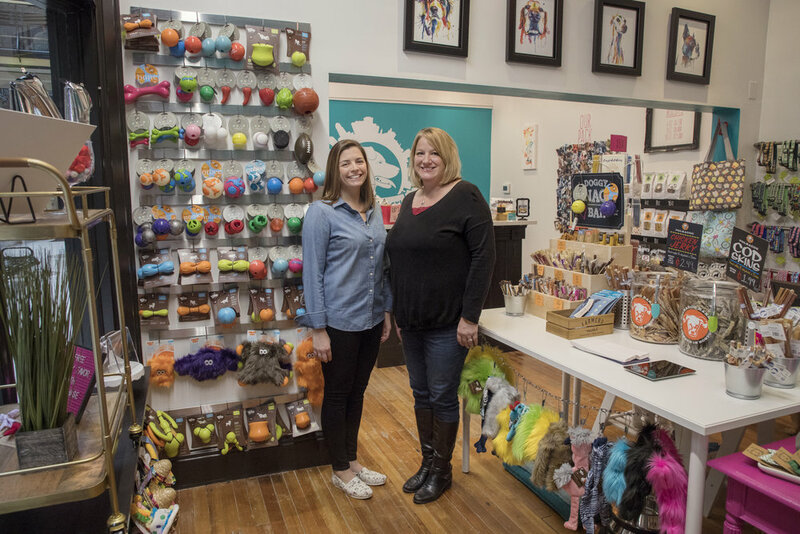 Buffalo Barkery was started in the ‘City of Good Neighbors’ by two animal loving sisters-in-law. We wanted to provide nutritious, homemade biscuits to our pups. All of our dog biscuits are made by hand, in small batches, with human-grade ingredients. Our mission is to provide a hearty and delectable snack, made-to-order, for your four-legged friend. To us, dogs aren’t just pets, they are family. In 2016 we opened our brick and mortar in order to provide our customers with high quality products for cats, dogs and animal lovers. Many are made in the USA. We are committed to giving our customers a large selection of safe and exceptional items to choose from. We are huge supporters of our local shelter, the City of Buffalo Animal Shelter. From bandanas, tote bags, flower buds, t shirts, sweatshirts and organizing an annual fundraiser (Barks at the Brewery) we are constantly brainstorming ways to raise money for the homeless dogs and cats that find themselves at the shelter.